* Pre registration is required for arrangements. 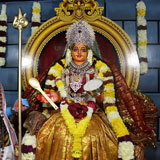 The grand opening of Sai Datta Peetham is scheduled from March 21st to March 23rd 2014. 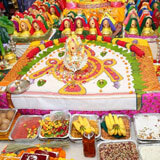 The Prathishta Mahotsavam of Shirdi Sai Baba and Sri Dattatreya will be performed during these days starting with Lord Ganapathi pooja, Punyavachanam followed by Homam, Aarti and Prasadam on March 21st. On 22nd march various cultural activities will be held at Sri Sai Datta Peetham by the volunteers.The yantra sthapana, prana prathishta followed by abhishekam will be done on sunday March 23rd. 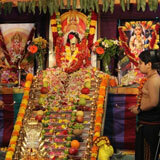 A special alankaaram to Baba on this eve is also made along with bhajans and pooja to Sai Baba. The first volunteers meeting was held at Sri Sai Datta Peetham premises on Feb 16th Sunday 2014. It was started with Ganapathi pooja by Chairman and Head Priest of the Sai Datta Peetham Sri Sankaramanchi Raghu Sharma. 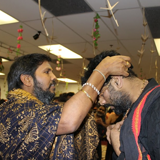 In the meeting, Raghuji revealed his ambitions and interests to start the Sai Datta Peetham which includes activities like free Archana's, Abhishekam's at peetham, charity to the people in need in US & India, Nitya Annadanam at Sai Datta Peetham. 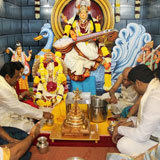 He also want to encourage the idea of Satsang and Paduka seva through the establishment of Sai Datta Peetham. 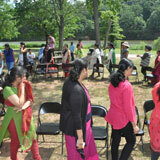 The meeting was a grand success with approximately 200 volunteers attending this event. 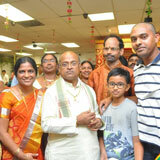 Sri Sai Datta Peetham opening ceremony was celebrated on Feb 27th & Feb 28th, 2014. The Opening ceremony started with Lord Ganesh Pooja by the Chairman and Head Priest Raghuji on Feb 27th followed by Abhishekam & Archana to the dieties Baba, Dattatreya & Lord shiva. 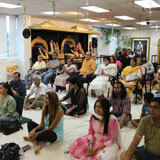 Devotees from all parts of NJ came to the opening ceremony. 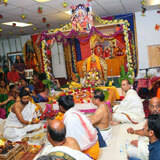 Morning session was concluded by baba noon aarathi followed by maha prasadam to the devotees. In the evening of Feb 27th, Honorary Assemblyman Sri Upendra Chivukula Inaugarated Sai Datta Peetham, Unveilling the Baba Photo. 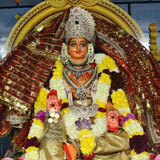 The temple was open through out the night on the occassion of Maha sivaratri. After evening aarathi, Samuhika Datta Sai Archana was performed followed by mahanyasaka ekadasa rudrabhishekam to lord Shiva and deveotees participated in the rudrabhishekam through out the night. 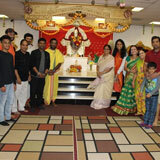 Devotees did bhajans till the wee hours of Feb 28th. 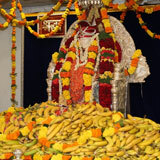 On this occassion close to 1000 people visited the temple to receive the blessings of Sai Baba & Lord Shiva. 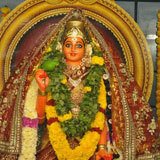 On Feb 28th the second day of opening ceremony, Rudra Homam was performed in the evening followed by Samuhika Spatika Lingarchana. 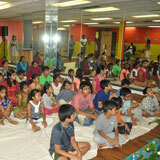 Later nearly 25 kids performed bharatha natyam and the day is concluded with Shej Arathi followed by Maha Prasadam. Daily Sai Baba's aarathi's were being performed from the Opening day which was on Feb 27th 2014 along with special abhishekam to Baba everyday in the morning. 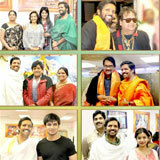 The Grand opening of Sai Datta Peetham and Prana Pratishta of dieties is on Marh 21st to Mar 23rd 2014.